Winter has set in… and the rainy days are endless and … did I mention cabin fever!!! Every time I see a break in the rain I declare we are going for a walk and by the time we have our shoes on it is torrenting down again. So many games of cards have been played and EVERY library book has been read – but no chance of a walk to the library in this weather. Needless to say we needed a treat and in the last week of the month the cupboard can seem pretty bare… but there was a lone, unmarked can.. specially saved for a day like this!!! 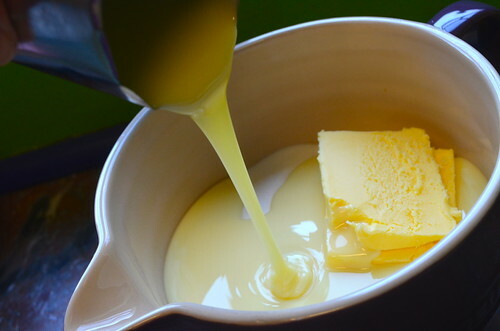 Pop the sugar, butter and condensed milk into a large microwave-proof bowl. 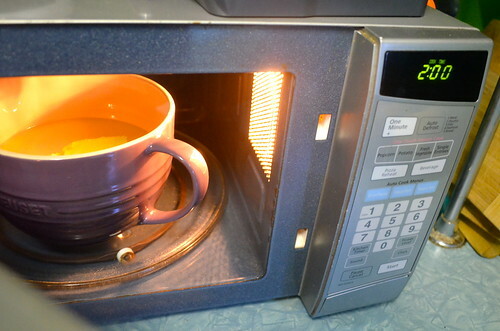 Place the bowl into the microwave on high for about two minutes. 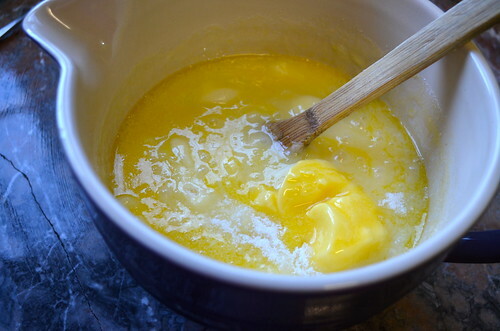 Then using a wooden spoon, stir the ingredients together. They will make a sticky sauce. Now on high, microwave your sauce for about nine minutes. It will bubble to the surface – watch it constantly, and when the mixture is close to the top of the bowl then stop and stir it down again. 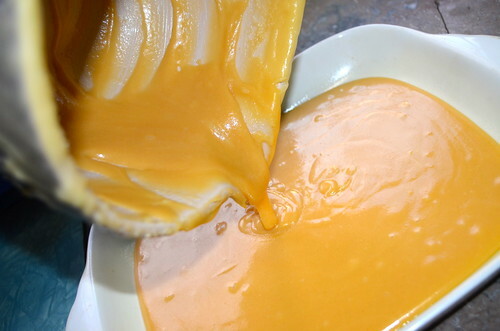 About every thirty seconds you will need to stop and give the sauce a quick stir. If you get distracted – this will happen very easily – you have to watch it constantly!!! 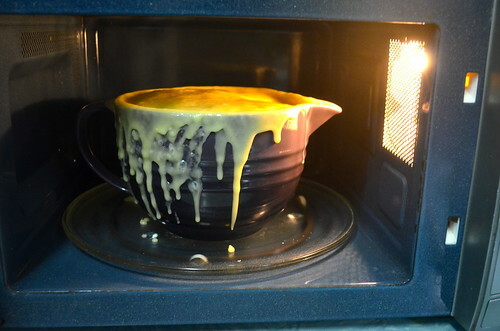 After nine minutes take the sauce out of the microwave and leave it to stand for about a minute. 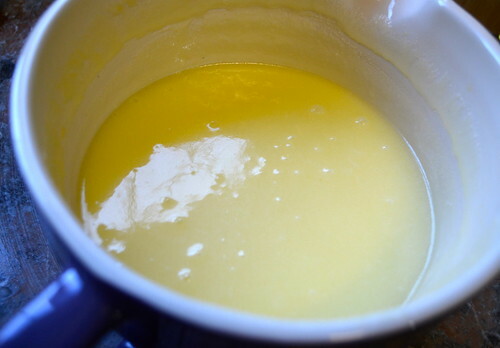 Then add a teaspoon of vanilla essence and stir well. 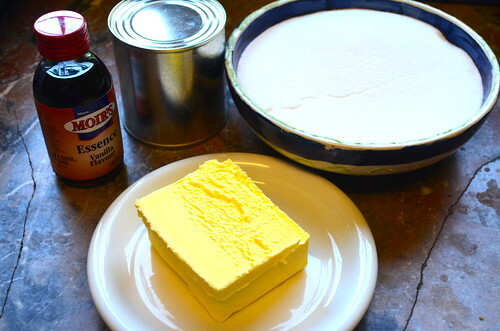 Pour the mixture into a very well-greased flat bottomed dish and hide it away to cool!!! I could say store in an air tight container, but I won’t… it doesn’t last long enough to store. 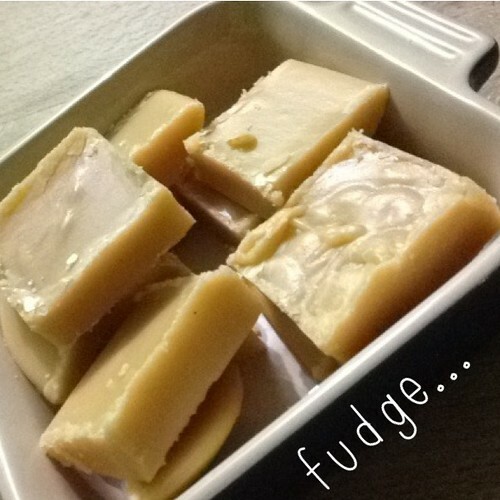 And as the father person says: “Give up blogging, just make fudge…” It is that good!!! P.S. This recipe gets dangerously hot… if you are brave enough to let your kids make it, then don’t leave them unattended for a second. 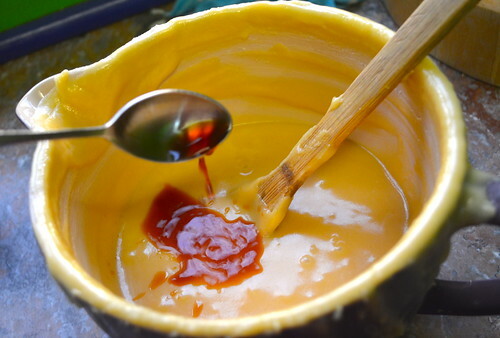 I cannot resist fudge so will definitely be making this recipe 🙂 I smiled when I saw your post – yesterday my daughter attended an NGO sponsored course on how to become an entrepeneur. When she came home after her first day there, I suggested she start making fudge and selling it. I was not expecting her reply: “Mom, you’re thinking small!!!! !” Oh to be a teenager again! Oh Sue that is the funniest!!! There is a lady who sells fudge in our area and makes a living out of it… tremendously hard work!!! But when my eldest sold muffins at church last year to raise funds for teen camp… his Saturdays were spent baking but his earnings were impressive!!! Costs were covered and he sailed out the door!!! Experience says: folks love home-baked!!! Would love to know what she chooses to create!!! Have a fabulous week!!! Well done to your son! I’m taking notes! Sounds delicious. I think we’ll try it. Well worth the effort, Tricia!!! Enjoy!!! I tell you Sue, the kids of today sure have their heads a lot more focused than I ever did!!! There is a lot to learn from them!!! Have a great day!!! 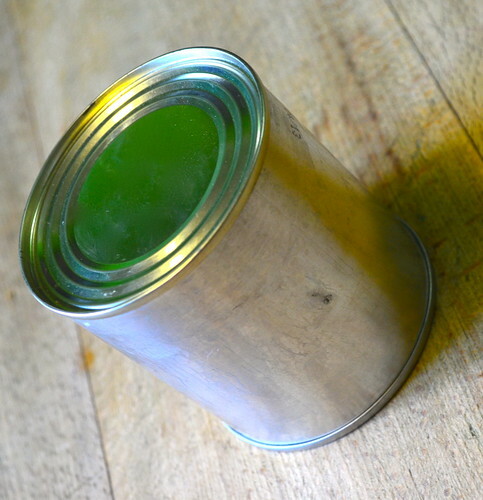 Oh Irene… Unfortunately my kids love and adore beans and would add a can to anything given the chance!!! But I do keep one or two cans with the labels off for emergency situations – as one does in a house of ten!!! And it isn’t so much that the treat would vanish during the cooling off time – but would become smothered in eager little fingerprints!!! I dare say, a tray of this stuff wouldn’t last long in any household, it was tempting mot to make a duble batch!!! Hope you have a fun week!!! Not good to read this while trying to stick to a low-carb diet, and I think I’ve just found a use to tip me over to totally “needing” one of those LeCreuset bowl/jugs! I hope you enjoy a bit more sunshine today. Oh Debbie… Get one already!!! Actually I would like a shelf with one of every color on it!!! Seriously, we have two and we use them for everything – EVERYTHING!!! 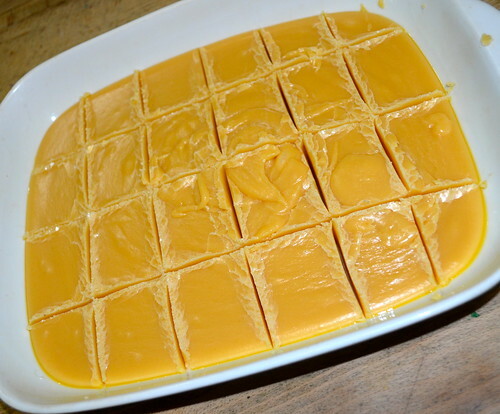 Porridge, custard – fudge!!! – salads, serving dish for almost everything – just totally fabulous!!! Hope you have a fun weekend!!! Looks like we have sunshine!!! Oh Katherine Marie – It is totally fab!!! And resistance is impossible… Just do not taste it while you are making it… temptation is well high, but you will biurn yourself!!! Be careful out there and enjoy!!! We make this fudge too. Slightly different method and we use normal sugar. It’s absolutely delicious! I had such a laugh at the Father Person’s comment, as I can imagine our Father Person saying the exact same thing :). Agree with you about the dangerously hot – and not being tempted to taste! Oh Love and Lollipops, I am so glad that you enjoy fudge just as much as we do!!! Now my kids know how easy it is, oh dear, I think we are going to be making a lot more fudge in the near future!!! Hope you have a great week!!! Robyn, I am so with you, fudge always looked to complicated on the stove top!!! I don’t have a can at the moment, but I think it contains about a cup and a half – really sorry I will have to check it out and get back to you!!! Otherwise hope you have a fab day!!! Oh Kate… Isn’t that the truth!!! Hope you are all having a good week!! !